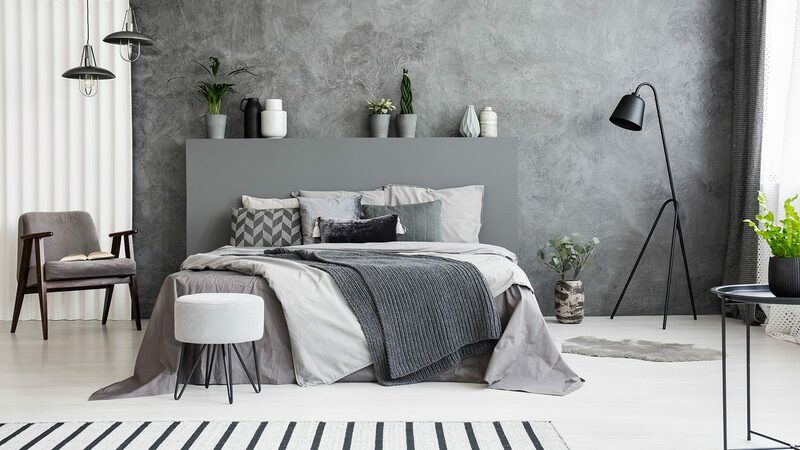 If there’s an attic in your home then it’s probably just a space where you store things you can’t get rid of but barely use. Lets be honest though you’re probably never going to use that stuff. 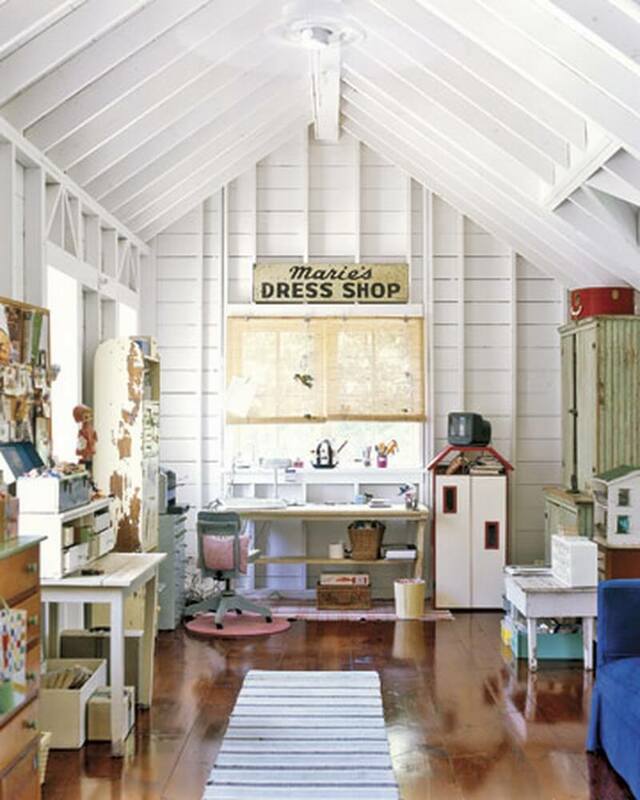 So why not do some cleaning and transform your attic into something more useful and practical such as a home office. 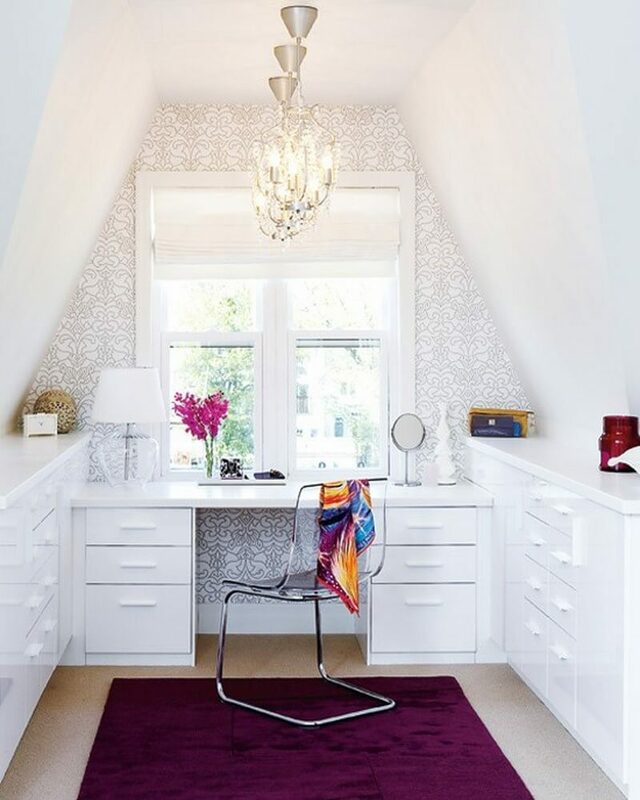 An attic makes the perfect home office since you’re working in the comfort of your own home while being up and away from the rest of your family so you won’t be disturbed. The attic has more privacy and the space you need to create a wonderful cozy spot where you can get creative and enjoy working. If you have windows in your attic then you probably have some very nice views as well. 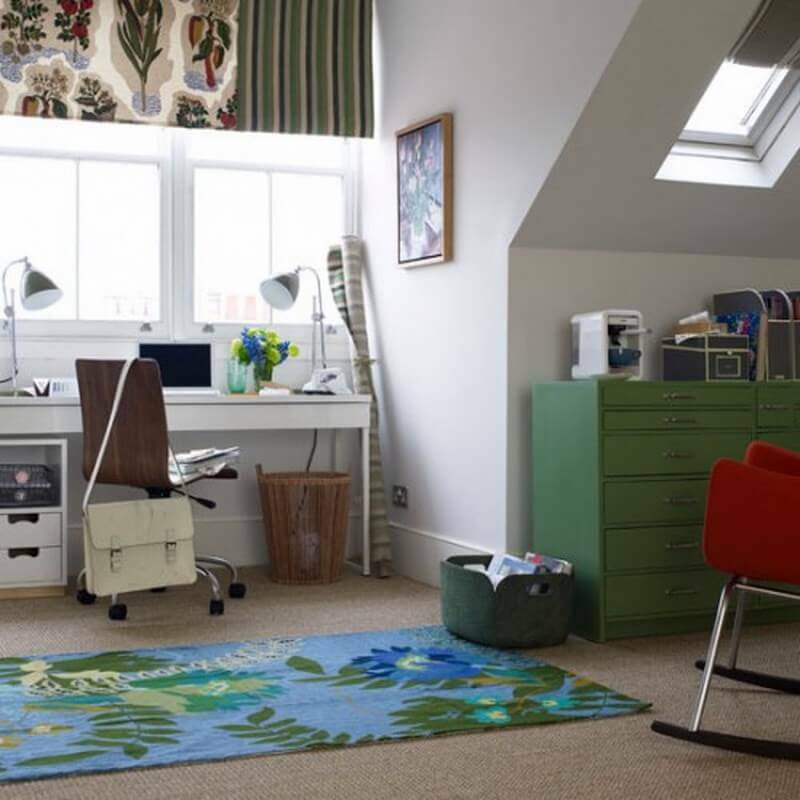 To give you some ideas on how you can transform a regular old attic into a superb home office we’ve put together this showcase of some of our favourite attic offices. Take a look and enjoy! 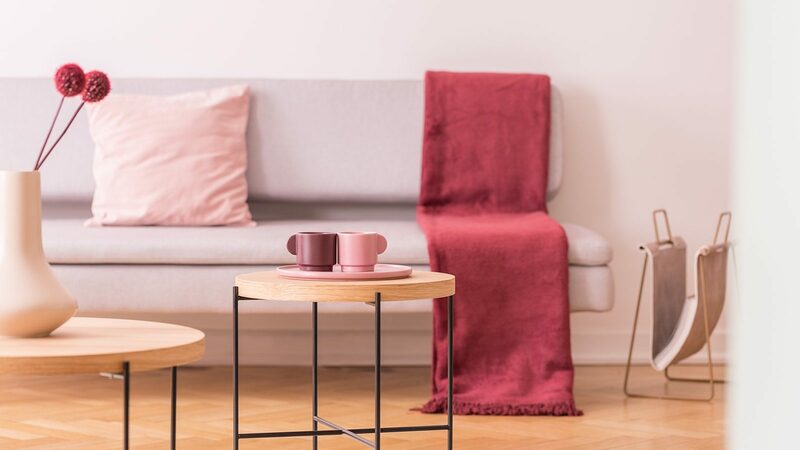 Scandinavian style is always perfect for a home office due to it’s pureness, simplicity and charm. 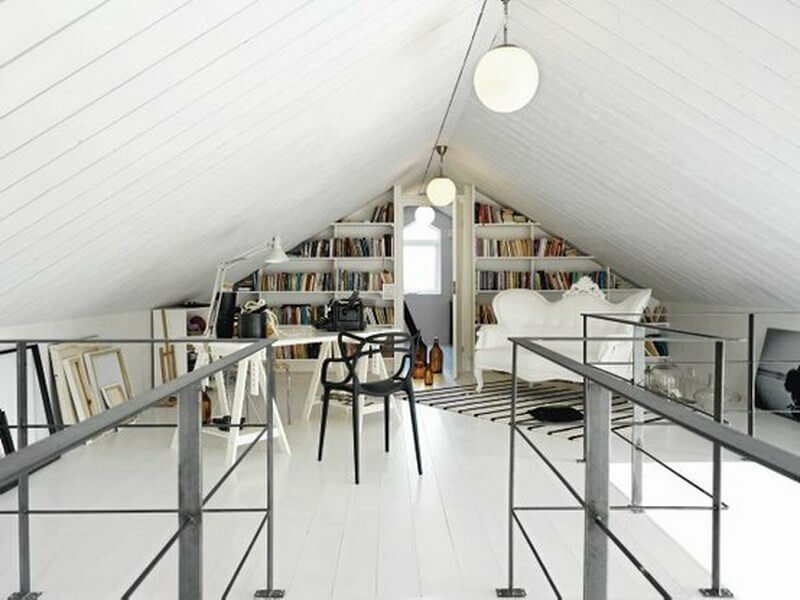 Just take a look at this gorgeous Scandinavian attic home office with just a hint of an industrial touch. It’s both urban looking and quite practical at the same time. 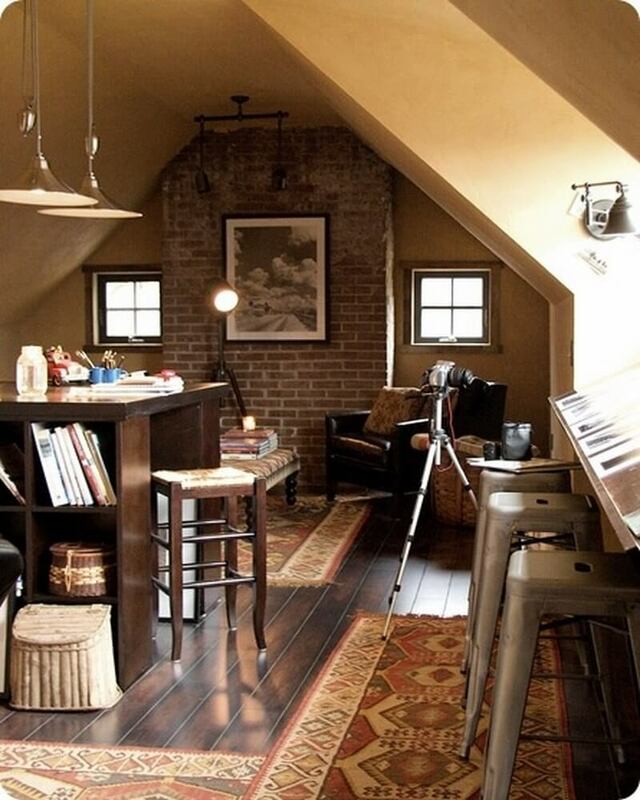 This cozy and inviting attic looks like the perfect place to work in. 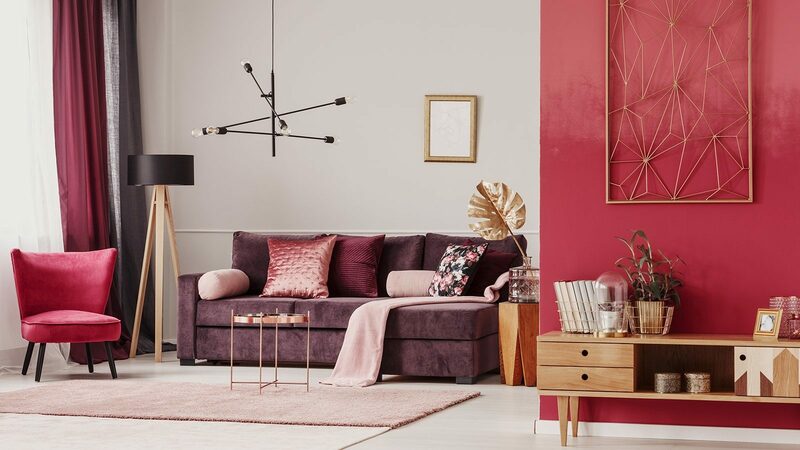 It’s radiating with such warmth and a welcoming ambiance largely due to the wooden floor, furniture, brick accent wall and warm color scheme. This urban and modern home office looks really strict and very practical. 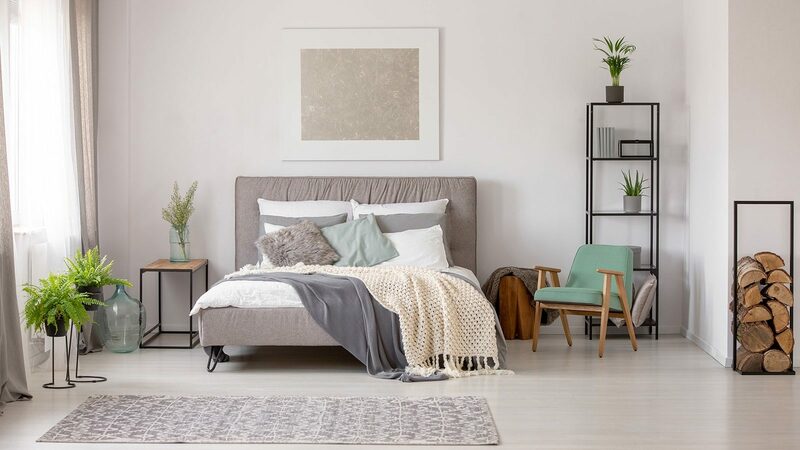 The white color scheme makes it appear visually bigger and brighter than it actual is while creating a clean and airy ambiance perfect for creating and working. We really love what they did with the angled bookshelves leading to another room at the back of the office. 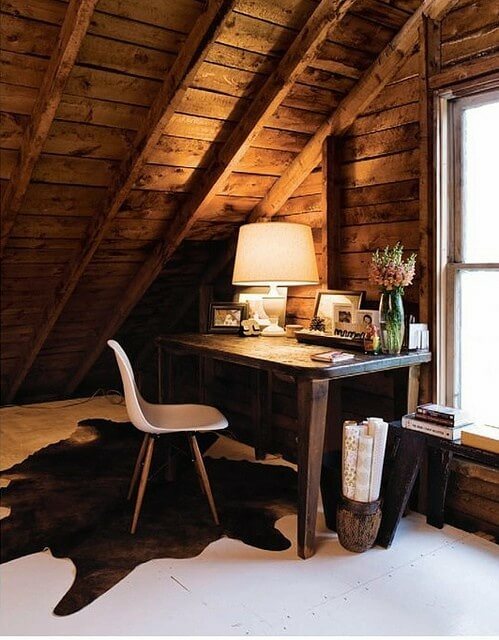 You can enjoy working in the warmth and welcoming beauty of the cottage by transforming your attic into an adorable rustic inspired home office. You’ll get a place you’ll love to work in full of inviting and appealing charm. This office is super sleek, chic and complemented with an amazing view you’ll love to look out over every day while you work. There’s quite an elegant and sophisticated feel here due to the patterned wallpaper and beautiful chandelier. The white furniture makes everything nice and clean and the glass chair is a beautiful modern touch. Who wouldn’t enjoy working in a show stopping office with an amazing view like this one. 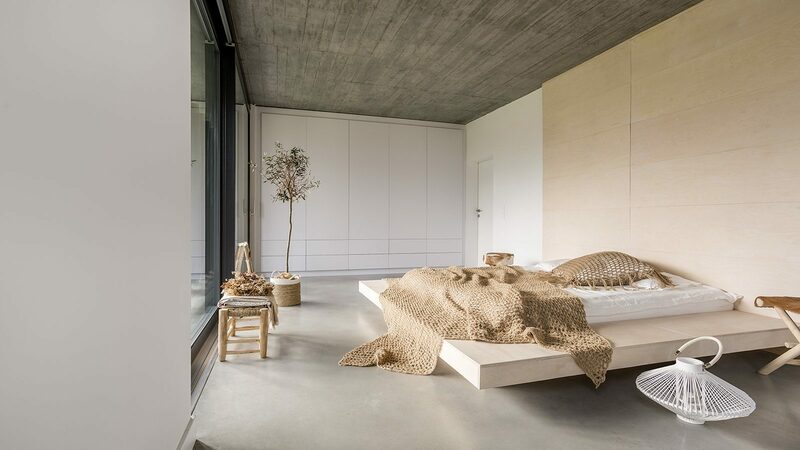 Just throw in the essentials for an office and let the view do its job to beautify the whole space. 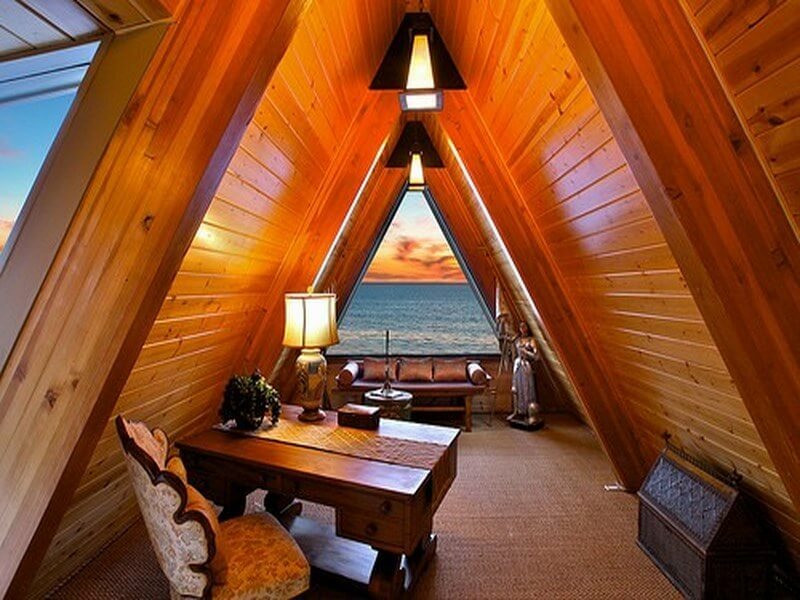 The triangle shaped window isn’t something you normally see and it’s super cool! 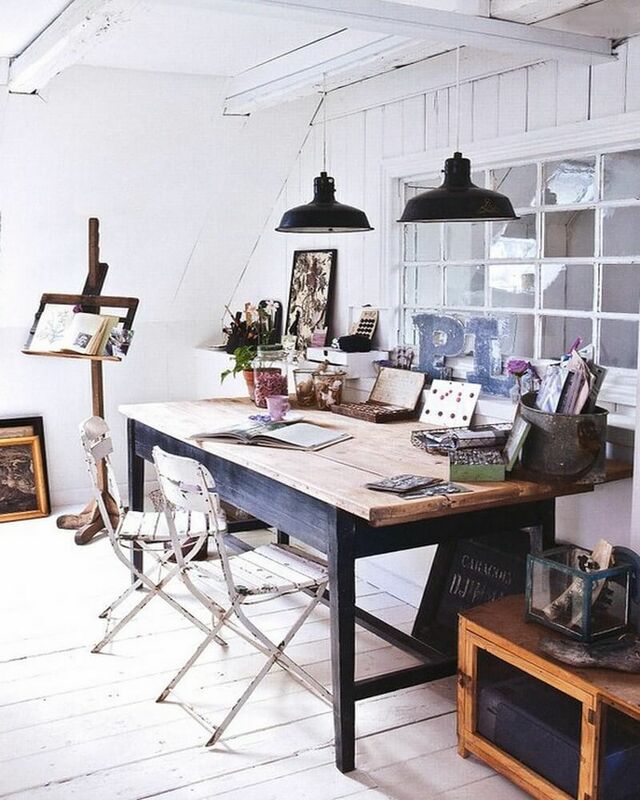 This lovely little office has a beautiful vintage/shabby chic feel. It’s radiating with an adorable vibrancy and dynamic spirit. 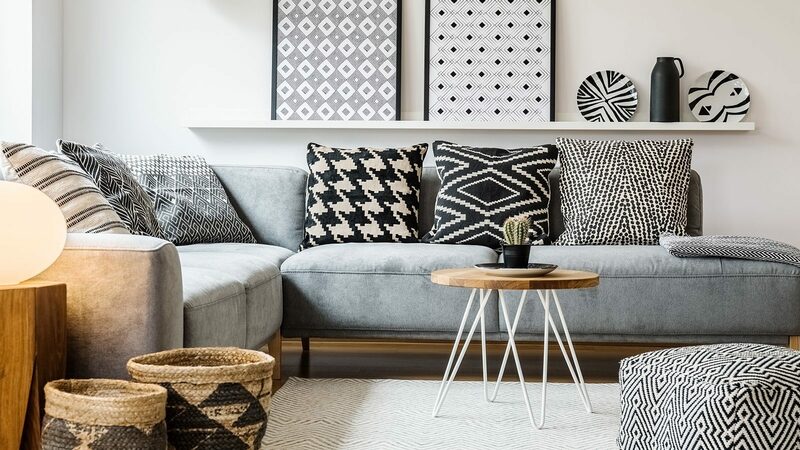 It’s absolutely packed full of small details that all add up to create the overall feeling for the whole room. There’s tons of natural light here as well which is always a huge plus. This splendid office with it’s lovely pastel blue shades looks extra fresh and airy. 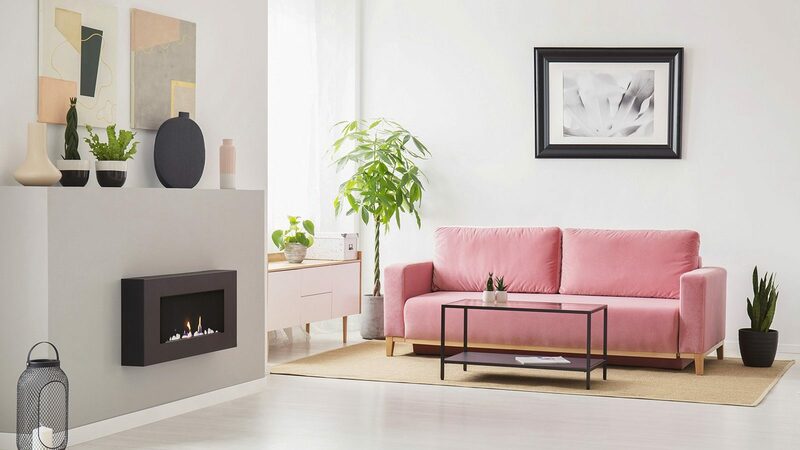 It’s full of super-chic appeal and feminine charm and due to the many captivating decorative elements and accessories it looks absolutely gorgeous. 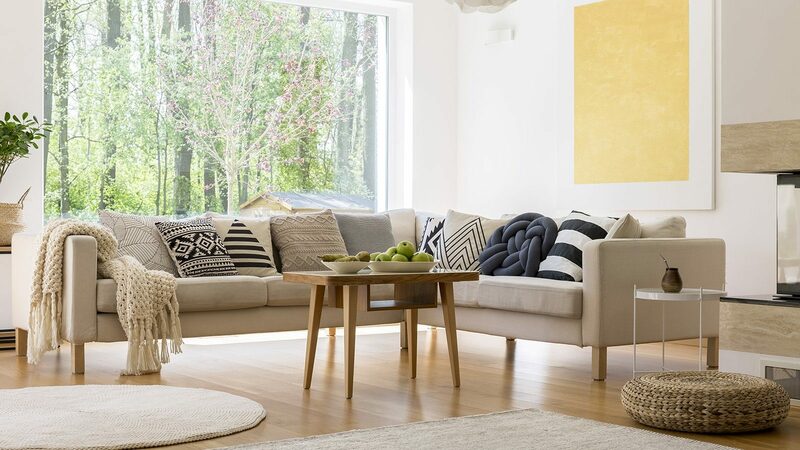 This might just be the most comfortable, inviting and natural home office we’ve ever seen. 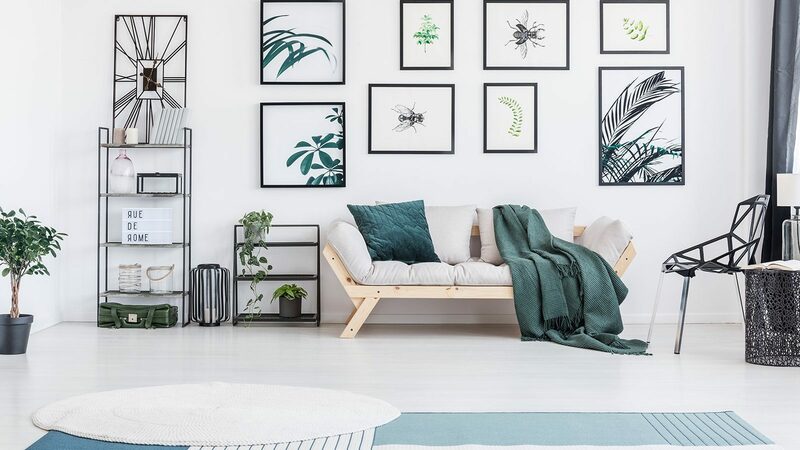 The neutral color palette combined with the welcoming design and natural accessories (especially those plants) makes this spot look incredibly warm, lovely and we’d love to work here. The exposed wood beams on the ceiling are amazing too. The neutral palette in this office is perked up with splashes of color from the rug, curtains and furniture. 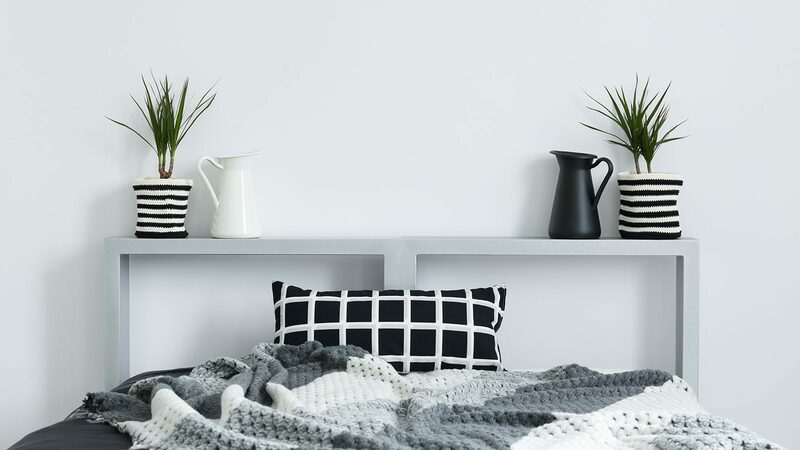 It’s super simple, organized and very inviting.